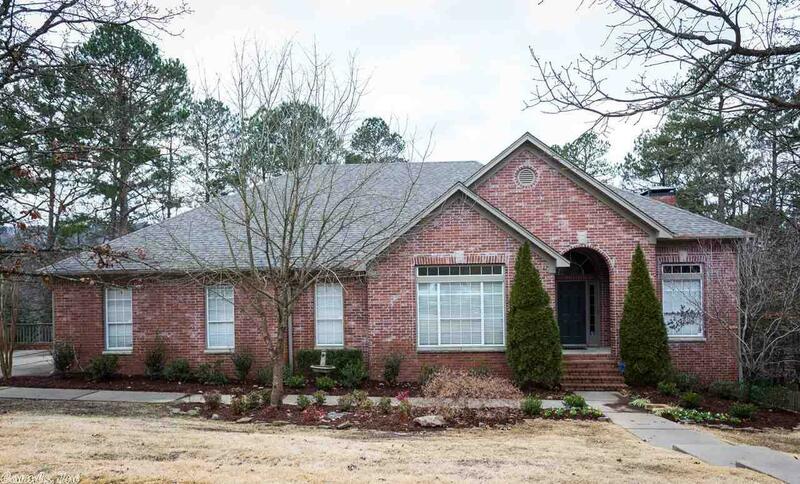 Spectacular family home conveniently located in WLR between Chenal Pkwy & Cantrell. Immaculately maintained with beautiful hardwood flooring & large open living areas. Master bedroom on main level with extra large closet and bath. In addition to the 4 bedrooms, each floor contains an office. Downstairs is a large media/exercise room. Appliances convey. Large decks off the back for entertaining & great views. In the spring the yard boasts with color from the array of perennials. SF approx. Agent remarks.